Restoration period. 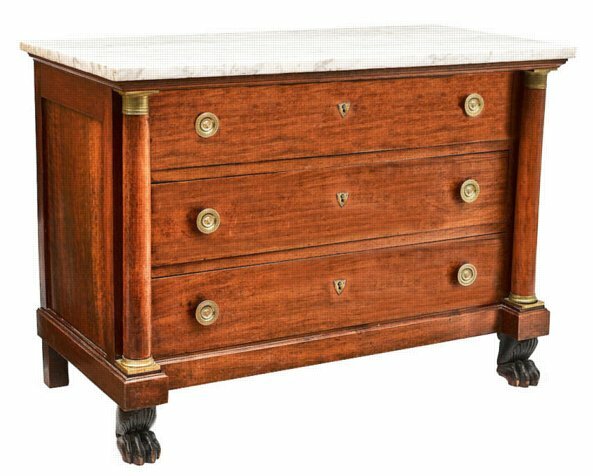 mahogany wood with gilt bronze mounted columns, tree drawers with bronze handles. Marble top.